1. You are part of the pilot for “Surina and Mel,” a show that places South Asian women in the lead narrative. Why was working on this project important to you? What has the reaction been to the teaser video, and what do you hope for this project in the long term? Surina & Mel. is our entrance into the first generation world of brown people. This isn’t a show about culture clashes, or an Eat, Pray, Love fest. It’s about two American-born South Asian women who are figuring out what life looks like when you’re not a model minority nor a Bollywood star fighting terrorism on an ABC show, but kinda just two best friends dealing with the messy realities of being halfway decent adults. We’re proud to present a show concept that captures our world – it’s authentically brown, edgy, and a little absurd – all through the lens of the modern day South Asian woman. It's a first of its kind. New York City is actually a much smaller universe for actors than Los Angeles is, and the parts available to South Asian girls are even smaller, so it’s no surprise that Surina, Melanie, and I (and many other of our Indian actor friends) would run into each other in the audition waiting rooms. 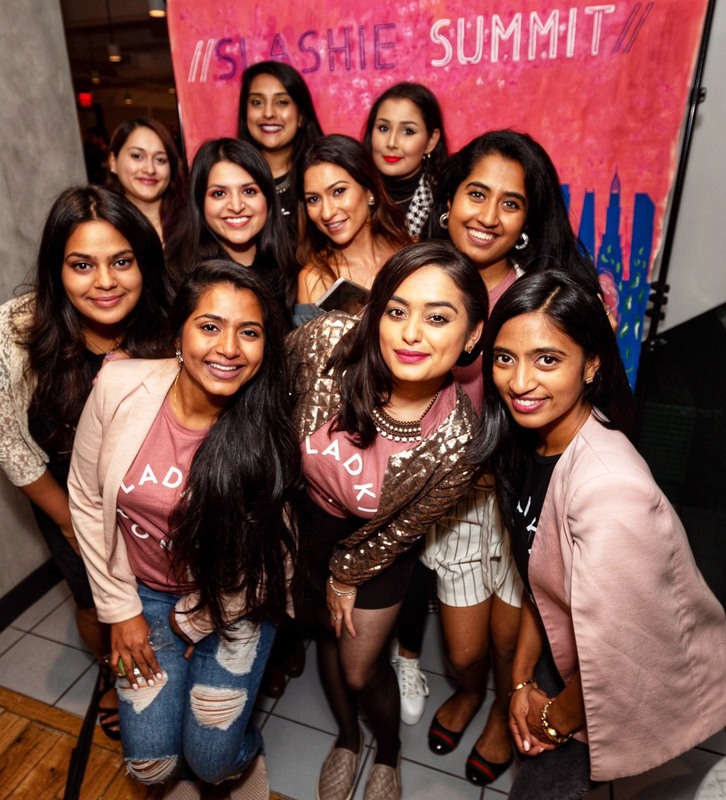 We got tired of going in for parts that didn’t represent us individually AND as a whole, the modern-day Indian-American woman. Let’s just say we think it’s time to stop seeing us as a “Bend it like Beckham” and start seeing us as a Carrie Bradshaw or Felicity – hope you appreciate my ’90s references. We didn’t expect such a vast amount of South Asian females AND males to receive the teaser with such excitement. So many people have commented how they have been waiting for a show to come along that’s relatable. They’re asking us where and when they can watch the show. We are still working really hard on getting as much exposure as possible to ultimately get this thing made. Worst case scenario, if this show never got picked up, I would hope that show creators and execs see there is a place, demand, and audience for South Asian women in non-stereotypical lead roles. 2. You work heavily with your nonprofit, “Save a Gato,” to advocate for cats in San Juan. What started your passion for cats, and why San Juan? 3. You’re a native Texan who now lives in New York City. What has the shift been like for you? Texas is a great place to grow up. You have every resource at your fingertips, and I’m grateful for having been raised there. I’ve also lived in Spain and Puerto Rico – those cultural shifts were challenging to adapt to, specifically Puerto Rico, where I lived for five years. There is, however, plenty of opportunities there, and I will say it’s a great place to be a big fish in a small pond. I moved to New York four years ago to embark on this journey, and I feel so lucky to have met such a talented and ambitious network of creatives and collaborators right away. The Indian community is a large part of that. We’re all in this together trying to get to the same place. I think living in New York is necessary for me, at least right now. Brown people, especially Brown women, are discouraged from pursuing creative careers. How did your family take to your ambitions to become an actress? My parents are pretty awesome. That said, I’ve always immersed myself in the arts – which is something they love about me. I graduated from college with a degree in Architecture. After that, I worked in advertising as an Art Director/Graphic Designer. I didn’t fully pursue acting until I had actually booked my first SAG job. That was when I thought, if someone sees something in me enough to put me in their film, I should see it too. It was never an option for me before that. As each year goes by I find myself progressing more and more, and that’s enough to garner the support of my family, especially my incredibly supportive husband. 4. What has the journey been like for you, a South Asian woman, in an industry that is still heavily occupied by white men? Nowadays women are on the up and up, even before the #metoo movement. There are times I may feel overlooked, but for the most part, I think my cultural background just gives me a unique point of view that’s lacking. I’ve also been lucky enough to work with some powerhouse women, especially with Orange – most of the writers, directors and producers are women. Women like Jenji Kohan, Mindy Kaling, Ava DuVernay, Reese Witherspoon are the pioneers for female voices to be heard. It’s an exciting time to be a woman in this industry. 5. Your season of “Making A Scene With James Franco” was nominated for an Emmy in 2016. How was working with James Franco? Advice for anyone working with James: Be prepared to improv! I actually was the creative director for his acting and film school for a few years, which is how I met him. During that time I also produced two features for his production company. That entire experience has been invaluable to me. As I said earlier, improvising is an important skill to have as an actor and producer – especially when James is your boss! We played around with some pretty heinous acts on “Making A Scene,” which is probably why it got nominated for an Emmy! In all seriousness, he has an incredible work ethic that’s awe-inspiring, and he surrounds himself with some truly remarkable people. It’s experiences like those that just validates why living in New York is the right thing for me right now. 6. 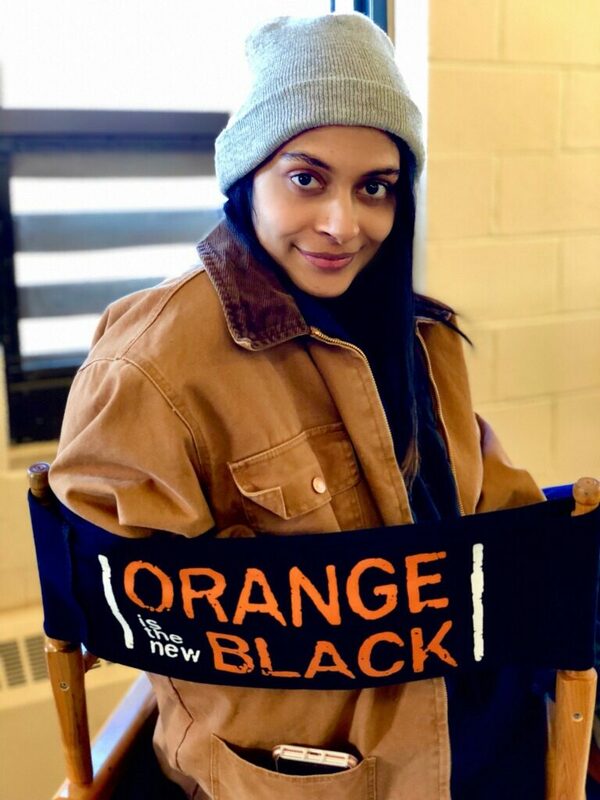 How would you describe Shruti Chambal’s character on “Orange is the New Black?” What has been your experience working on the show? Shruti Chambal is a tiny girl with a big bite. She hails from Maine as an American-born Indian studying to be an ENT doctor when she finds herself sentenced to Litchfield’s maximum security prison. She’ll do whatever it takes to fit in and protect herself, so she becomes a minion for her cell block’s head honcho. Shruti’s also the show’s first Indian inmate. I brought up to one of the show’s Indian writers how refreshing it was to see a non-stereotypical role for an Indian, and she said to me, “Yeah, we can be bad girls too!” I love that. It’s funny, I almost didn’t go to this audition. I had a week of intense auditions and was so burned out. I thought I didn’t have the right demenaor or physically what they would want for this part. That just goes to show, don’t underestimate yourself! This was my first recurring part on a show, so I didn’t know what to expect. The most interesting part of TV is working with a new writer and director for every episode. We had actors, writers, directors, and cinematographers directing us every week. You soon realize that each one focuses on a different aspect of directing. It’s up to you, the actor, to sometimes direct yourself. I was also pregnant throughout the entire season, so talking about giving blow jobs while 6 months pregnant was definitely…unique, to say the least. But it’s a special experience I shared with my daughter that’s branded in time, and I can’t wait for her to see it….when she’s old enough. The ‘brown Renaissance’ is in a great place with talented individuals like Sampat at its helm. I’m so excited to see all the amazing things she has been up to, and I know she has an extremely bright future ahead of her. Now, it’s time for me to binge on the new season of “Orange is the New Black”! Follow Sampat on Twitter and Instagram. Next articlePriyanka Chopra Is About to Become a Jonas?! It’s Officially Official! 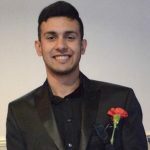 Ayyan Zubair is a graduate of Stony Brook University, where he served as the president of the Undergraduate Student Government (USG). Passionate about creating and maintaining a diverse and equitable learning experience for all, Zubair has successfully advocated for free menstrual pads on campus and eliminating downward curving to foster a collaborative learning experience. Fascinated by the intersection between public policy and advocacy, he has worked for political campaigns and governmental agencies at the local, national and international levels. In his spare time, he co-hosts "What Muslims Look Like," a podcast highlighting the depth and breadth of the Muslim community, listens to hip-hop music and slides into DMs.